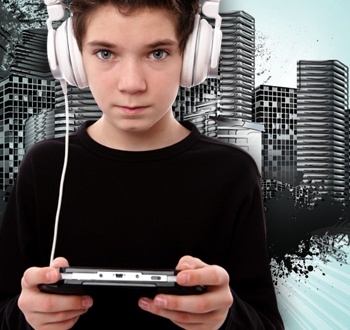 Researchers from Texas A&M and Harvard Medical School have challenged the findings of a study published earlier this week that "strongly" linked gaming with poor attention spans in kids. Science is kind of like prison sometimes, except that when someone eyeballs you wrong, you don't stick a sharpened spoon between their ribs, you submit a rebuttal to a respected publication under a title like, "Poor Measurement, Poor Controls and Spurious Results in Swing et al. (2010)." Those are fightin' words in the exercise yard of academics and Christopher Ferguson of Texas A&M and T. Atilla Ceranoglu of Harvard Medical School have come out swinging. In response to a study that came to light earlier this week linking gaming with shortened attention spans, Ferguson and Ceranoglu highlighted four specific shortcomings in the work. First on the list is the fact that the authors "overlook a number of recent studies that contradict their views on the relationship between videogames and aggression," as well as research that suggests gaming can actually increase, not decrease, attention and cognition. Furthermore, the study used an "ad-hoc three-item scale with no known validity" to measure attention problems and didn't include reports from parents, relying solely on input from teachers. It also failed to control for other "commonly measured relevant variables" that could affect attention spans, like home environment, poverty and parental education. Finally, Ferguson and Ceranoglu noted, "All standardized regression coefficients for children in the study are less than .10. This indicates that the overlap in variance between media use and attention is less than 1%. Even taking these findings a face value (setting aside concerns about measures and control variables), these are weak effect sizes without practical significance, effectively no different from zero." "The authors appear to rationalize these trivial effects by suggesting that some important medical effects are similarly small in size. This assertion has been proven false (Block & Crain, 2007; Ferguson, 2009b).and was based on confused attempts to convert the common medical odds ratio and relative risk measures into the Pearson 'r' coefficient familiar to psychologists," they concluded. "In sum, these findings are unable to support the weight that Swing et al. (2010) attempt to place on them, and give no cause for concern to clinicians, educators or parents." Ferguson and Ceranoglu's response can be read in full at pediatrics.aappublications.org. See you in the cafeteria line, Swing et al.